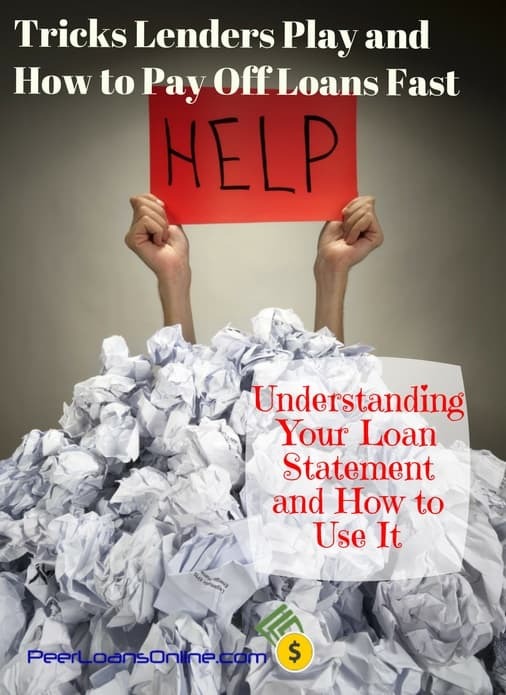 Have you ever gotten a loan statement and thought it looked like a foreign language? What do all the numbers and accounting jargon mean? Understanding your mortgage statements along with concepts like loan principal and interest charge can help you save thousands and pay off the loan faster. One of the most important parts of your statement is your loan principal amount. Start here to learn how your loan amount changes, the difference between principal and interest, and how you can pay off your loan principal faster. Loan principal is the amount you still owe on the loan. It’s the total amount of the loan when you first get it and then is gradually reduced with payments if you defer interest. Your loan principal is important because this is the amount on which interest is charged every month. The lender will take their monthly or daily rate and multiply it by the principal balance. When you make a payment on your mortgage, or any other loan, part of it goes to paying interest and part pays off the principal. 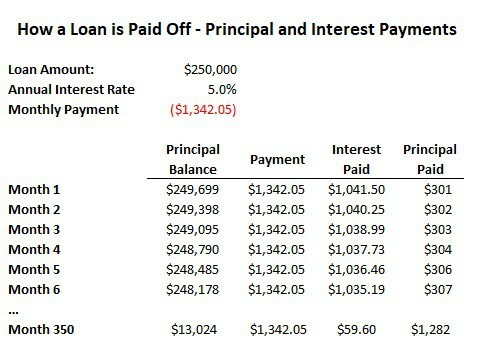 Principal is the amount you borrowed while interest is the cost of the loan. Most loans are set up so they ‘amortize’ or pay off over a set period of time. This means your payments are set to where you pay off the full month’s interest charge with some left over to pay off your principal amount. While most loans do this, it’s important to check and make sure before you agree to the loan. Paying off some of the principal each month is important because it’s the only way you’ll ever pay off the loan. If your payment is only enough to pay the interest charge, the lender will charge interest on the same amount of principal each month and you’ll be stuck in an endless cycle of interest payments. What’s the Difference Between Loan Principal Paid and Interest Paid? You’ll see your principal paid and interest paid broken out on mortgage statements, giving you a better idea of how much of the loan you’re actually paying off. In a regular amortizing loan, your monthly payments should pay off a little more of the principal every month. Let’s look at an example to see why this happens. 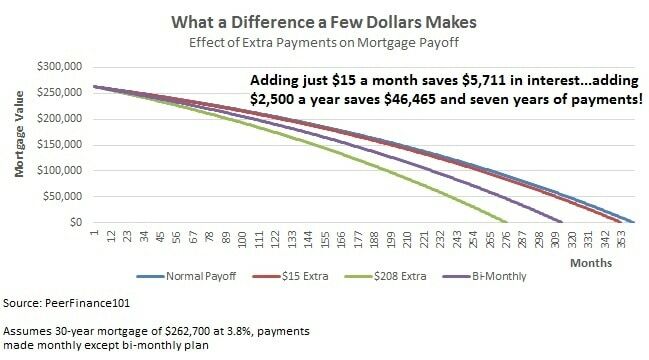 The example is an amortization schedule, how a loan is paid off, for a $250,000 mortgage at 5% on a 30-year term. Notice that in the first months, most of your payment is going to pay the interest charge. The payment stays the same and the lender charges the same percentage for interest every month. Because you pay a little more on the principal amount each month, that same percentage interest charge gets smaller and allows the same payment to pay more of the principal. By the time the loan is almost paid, most of your payment is going to pay the principal balance. How Do You Calculate the Principal on a Loan? There are several ways to calculate the principal amount left on a loan though your monthly loan statement should show it clearly. If you aren’t able to find it, call the lender and ask them to point it out for you. You can also follow a loan amortization schedule to track your principal amount. If you keep to the monthly payment, then your loan will pay off gradually according to the schedule. This might not be the case if you make extra payments or miss payments on the loan. Understand that your principal balance might not be the exact amount to pay off your loan immediately. There are a few reasons why your payoff amount might differ from the principal amount you see on your statements. Interest is charged on a daily basis for most loans so you will owe interest for every day until the loan is paid off. Some loans include a pre-payment penalty, a fee the lender charges if you pay off the loan earlier than expected. Some loans may include processing or other fees for paying off the loan. If you’re thinking about paying off your loan, call the lender to ask for a payoff balance. What Happens to My Loan Principal in an Interest-Only Loan? Home prices are increasing much faster than wages and it’s getting more difficult to afford traditional loans. For this reason, lenders have once again started pushing ‘special’ loan types that might not be the best option for borrowers. One of these loan types is a special repayment plan called interest-only or deferred interest loans. This is where you only pay the interest charge each month. In the example above, that would mean a monthly payment of $1,041.50 instead of the $1,342.05 monthly payment. Saving $300 a month might sound great but it comes with a big cost. Since you aren’t paying down principal each month, the interest charged on the loan never decreases. The lender charges the same percentage on the same principal each month. At this rate, you’ll never pay the loan off. Interest-only loans usually require you to start making normal payments after three or five years. They may also require a big one-time balloon payment. Some lenders will also allow you to make principal-only payments on a loan. The lender will set a fixed payment that goes to pay principal each month. The same percentage interest will still be charged each month but the interest amount will be added back to the loan. While a principal-only loan will gradually pay off the principal, it will still cost more than a regular loan because you are increasing the amount you owe by adding back interest each month. These special loan deals sound great because they mean lower payments but anytime you aren’t paying off interest and principal, it’s going to cost you in the long-run. There are a few ways to trick your loan payments to pay off more principal and save on interest. The beauty of loan payments is that interest is only charged once a month so any additional payments will all go to principal. There are three loan payoff methods that are the most popular for faster principal payments. The first two methods are basically the same, paying more than your required monthly payment. Rounding your loan payment up to the nearest hundred is easy to remember, i.e. if your payment is $1,342 then you would pay $1,400 each month. The third method actually means you are making an extra month’s payment each year. Monthly payments would mean 12 payments a year but paying every two weeks means 26 half-payments a year or 13 total monthly payments. Either way, you are going to be paying more principal on your loan each month. Since you are paying off the principal faster than expected, the amount charged in interest each month will decrease faster. Even if you can’t round up your payments to the next hundred, adding even small amounts to your payment will really help to pay off your loan fast. Adding just $15 a month in additional principal payments saves you almost $6,000 in this example and you’ll pay off the loan half a year early. Add more money to your principal payoff and you’ll save even more. Loan documents don’t have to seem like they’re written in another language. Understanding concepts like loan principal and interest charges will go a long way in being a smarter consumer of debt. Learn how to pay off your principal amount faster and you’ll be on your way to saving thousands on your loan.